Do you want a house clearance firm championed by its clients? Do you want to be safely in the hands of fully insured and licensed professionals? Look no further than Away With It. 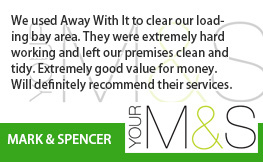 Having been providing house clearance in Gidea Park for over ten years, our customers come back time and time again, impressed with our budget-friendly and speedy service. 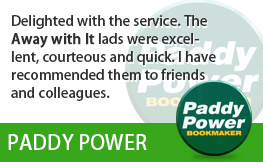 Described as ‘a totally professional and helpful company’, what makes Away With It so special? 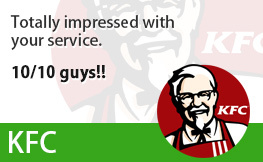 We believe our personal service sets us apart from others. 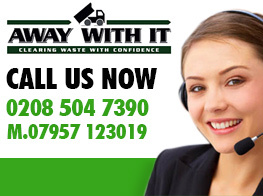 At Away With It, your house clearance plan will be specifically tailored to your requirements. We know that it isn’t ‘one size fits all’ when it comes to removing waste and we want to ensure we can fit around your plans seamlessly. We are open seven days a week between 7am and 11:30 pm, which means you will never need to rearrange plans or take any time of work to get your household waste cleared. Furthermore, you will never find yourself sitting around waiting for our friendly teams. 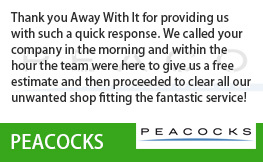 Once you’re happy with your bespoke house clearance plan, we will give you a guaranteed two-hour timeslot. Also, our team will always give you a call when they are on the way to your property, just to let you know they will be with you shortly. Customers know that we get rid of their waste responsibly as we abide by all regulations. However, did you know Away With It also have a green approach? We are able to remove virtually all non-hazardous waste and we recycle 80% of what we retrieve. So, you have decided house clearance from Away With It might be the answer to your needs, but what happens next? 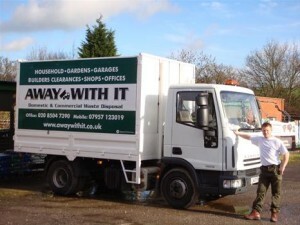 If you have a couple of items than need removing, we might be able to get rid of them the very same day. 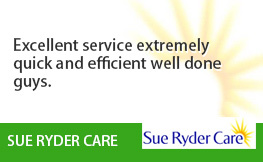 Simply give us a call and one of our advisors will be able to give you a no-obligation free quote over the phone. If you have a property with tricky access or a larger job it can be best for one of our team to visit your home and assess and discuss your requirements. We can than put a plan together specifically for you and provide a quote. No need to make a decision there and then though, you are more than welcome to go away and think about it. Once we have been given the green light from you, we will arrange a date and time for clearance that best suits you. 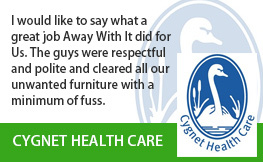 You won’t need to lift a finger as our diligent teams will do the lifting and tidying up. If you want to discuss your needs for house clearance in Gidea Park, or would like to receive a free quote, give us a ring on 0208 504 7390 or 07957 123019. We are available to take your call 7 days a week, between 7am and 11:30pm.